As the oil price downturn extends into its 20th month, and “lower for longer” moves from forecast to fact, both exploration and production companies (E&P) and their subcontractors, the oilfield service companies (OFS), must take a number of difficult steps in order to survive. These steps are in addition to many reductions in headcount and capital expenditures. Unfortunately, even with these actions, many companies will not survive this cycle. The drop in prices that started in July 2014 is the most precipitous in 35 years, and has led many to question how this happened. Answering that question may lead to a set of actions, which could help E&P and OFS companies survive this downturn. 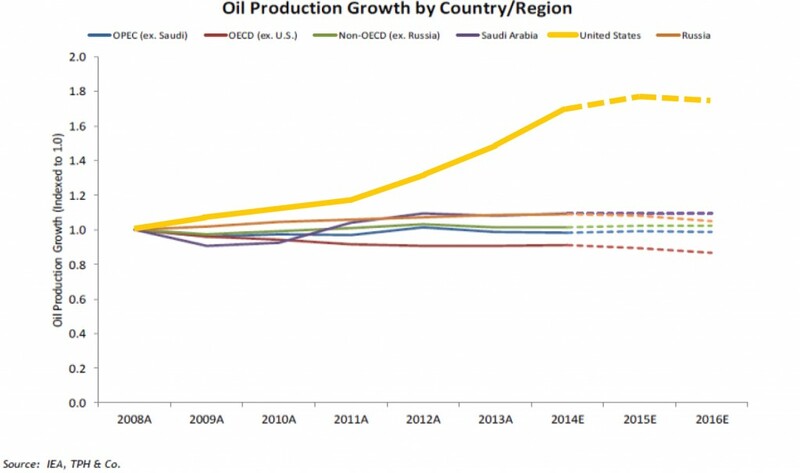 Although the Saudi’s have abdicated their historical role as swing supplier by increasing production this cycle, the consensus view is that the unexpected and unprecedented growth in North American shale and tight oil production is the largest factor in the current oversupply situation. Until the price of oil remains low enough to drive a meaningful reduction in capital expenditures for new drilling, the oversupply will persist. As prices hover near $30 per barrel, it appears that the market has reached an inflexion point. Companies are slashing capital expenditures budgets, and U.S. production has fallen from a peak of 9.6 million barrels a day to 9.1 million barrels a day. Outside the U.S., the supply environment is less clear with the recent lifting of sanctions against Iran (potential incremental 1 million barrels per day) as well as the uncertainty of the magnitude of additional production, which could come from other producers as they attempt to defend market share. The questions companies and their capital providers must face is how long the market correction will last. They must determine if they can survive and, if so, what steps will assure their survival. At the current price of oil and natural gas, neither drilling nor major work-overs make economic sense for E&P companies. As a result, there has been a dramatic correlative drop-off in demand for OFS companies’ equipment and services. E&P companies must perform a triage assessment to determine if they have sufficient liquidity to survive until prices recover. Can they reduce operating expenses, overhead or otherwise generate sufficient liquidity to support day-to-day operations with revenue from now largely un-hedged production? If the answer is yes, can they also stay within their financial covenant ratios and service debt? For a significant number of E&P companies, the answer to the second question is no. 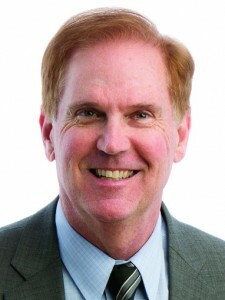 In that case, the first step for these companies is to determine whether their existing capital providers will entertain a negotiated restructuring that reduces total debt and debt service — either on a temporary basis or permanently — to the new price realities after assuming the effects of the action steps for structural cost reduction and assets sales. In almost all cases, a negotiated solution on debt restructuring is better for a majority of the stakeholders, even if the agreed result is a pre-packaged bankruptcy. However, even in a negotiated solution, difficult and often contentious decisions may be required. Debt holders must take substantial write offs and, in some cases, complete conversions to equity. Existing equity is diluted, if not completely wiped out. Management may be deemed too incompetent to continue or may no longer have sufficient economic incentive to stay, thereby requiring the placement of interim management. 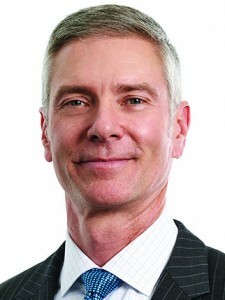 For those E&P companies which have enough liquidity to adapt to the new environment outside the pressure of a restructuring, the playbook is largely the same: asset portfolio high grading, sales of underperforming or non-core assets to improve liquidity, lower the unit cost of remaining production, and improve capital productivity through capital discipline and improved drilling and completions operations. Companies must perform a rigorous contribution margin analysis of all producing wells. If a well is not profitable on a variable cost basis, it should be shut in. If it is marginal, it should be considered for divestiture. Companies should also consider the sale of non-core properties. To determine whether a property is core, the company should assess the geology and determine the new operating footprint it would have with reduced staffing. It must evaluate which areas offer the best opportunity for lowering production operating costs and, when the time comes, for improving drilling and completion costs. Though executing asset sales is difficult in this climate, it is necessary. Not only will sale proceeds provide additional near-term liquidity, the reduced asset footprint often yields opportunities for additional staff reduction and other overhead efficiencies. Lowering unit costs to operate must go beyond demanding supplier discounts. It must include innovative ways of thinking about the operational activity and collaborating with suppliers for long-term solutions. Finally, E&P companies must continue to find ways to reduce drilling and completion costs, as during the normal or growth part of the cycle this accounts for more than 80% of their budgets. Supply chain planning and procurement improvements, such as batch bidding of completions, are also vital. Discerning use of new technologies, such as pad drilling and self-moving rigs can reduce cost and improve capital efficiency. On the other side of the production equation, the significant reduction in capital spending by E&P companies has had a devastating impact on OFS companies. Although OFS companies provide services to E&P companies throughout the producing life of oil and gas reserves, the lion’s share of the business is transacted during the drilling of wells. A popular measure of this activity is the number of drilling rigs currently active. The graph indicates that after reaching a recent high of 1,931 during September 2014, the U.S. active rig count plummeted to 619 in January 2016 — nearly a 70% decrease. As a result, job opportunities have significantly decreased, and price competition for the remaining opportunities is extreme. OFS companies have seen revenues decrease by 50% to 75% or more. Although some of the cost cutting and restructuring steps for the survival of OFS companies are similar to those for E&P companies, there are some differences: asset sales are very difficult as there is a glut of equipment in the market. Margin analyses on product lines remain useful, but an analysis of the economics of customers by field, basin and region are critical. Pursuing or defending business in regions that remain, or that will likely become active if small commodity prices uplifts occur, can assure the production of enough revenue to sustain the entity. Until the market rebalances and some pricing power is recovered, the E&P and OFS sectors will remain extremely challenged. This will be a year of significant capital expenditure reduction and deep structural cost cutting. Those that make the appropriate adjustments will likely be the leaders when the cycle finally turns back to the growth phase.